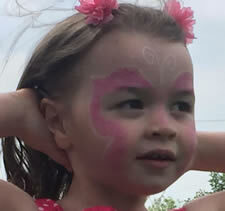 What We Do - Happy Parties for Happy Kids! Our specialised children's birthday party entertainers will organise different activities during your kids’ birthday party, they will make your day a day to remember being sure that you can relaxed and enjoy the moment. We know that children are unpredictable, so our kids party entertainers have always tricks under their sleeve to make our activities work as you have planned it and make the children happy, which is our ultimate goal. 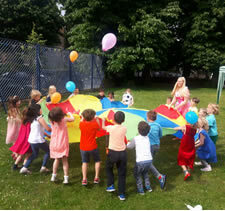 We can also do themed entertainment for no extra cost by adapting our activities for kids to the topic of your choice! These are the fun packs we have built for you. In each fun pack is included the games listed below in each pack, the organization for the cake and happy birthday, so you won’t need to be worried about that. If you don’t want us to do it, just let us know in the booking call. Double the people, double the fun! Our children's entertainment packs can be performed at home, in a venue of your choice or if the weather allows it, in a local open space or park. We cover different areas in London and surroundings like North London, Central London, South East London, West London, Richmond and Twickenham, Hayes, Harrow, Barnet, Camden, Brent, Kensington and Chelsea, some parts of Bexley and Bexleyheath, Watford, East London, Croydon, Lewisham, and some more. If outside our area of coverage we might need to increase a small extra fee for transportation for our kids entertainers for parties. We can also adapt and organise themed parties for your children, including superhero parties, princess parties, pirate parties, star wars themed parties, Harry Potter parties, Frozen parties, Paw patrol themed parties, Peppa Pig parties, Seasonal Halloween Parties and Christmas parties, etc. Just ask and we can make it happen!